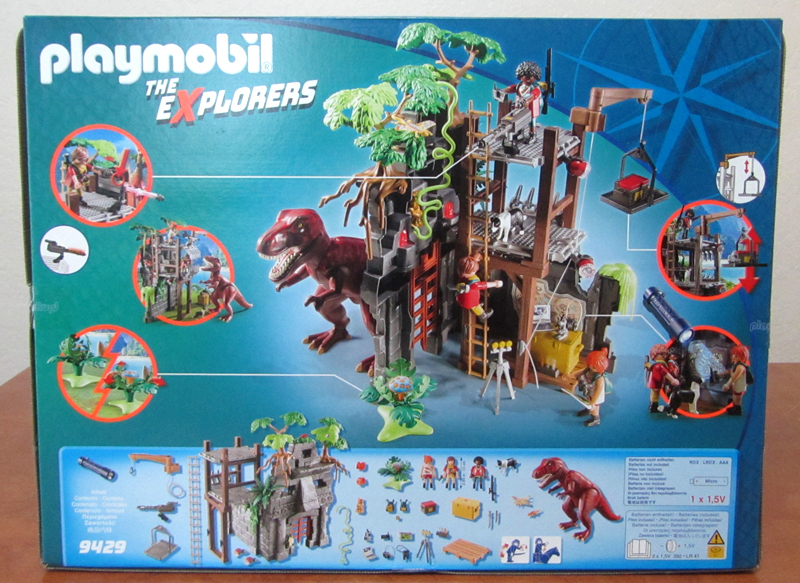 Here is the first in a set of reviews of the new Dinosaurs theme aka the Explorers theme. 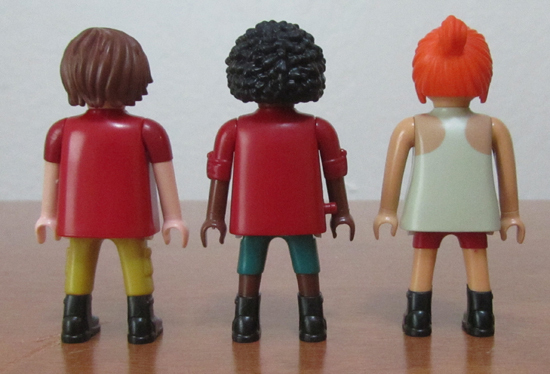 It looks like this may be a new group of figures that will go through different themes over time? They are archaeologists according to the movie and the set up with the boxes and such gives that impression. Hopefully so, they could explore some really interesting new themes with an archaeology framework to go from. 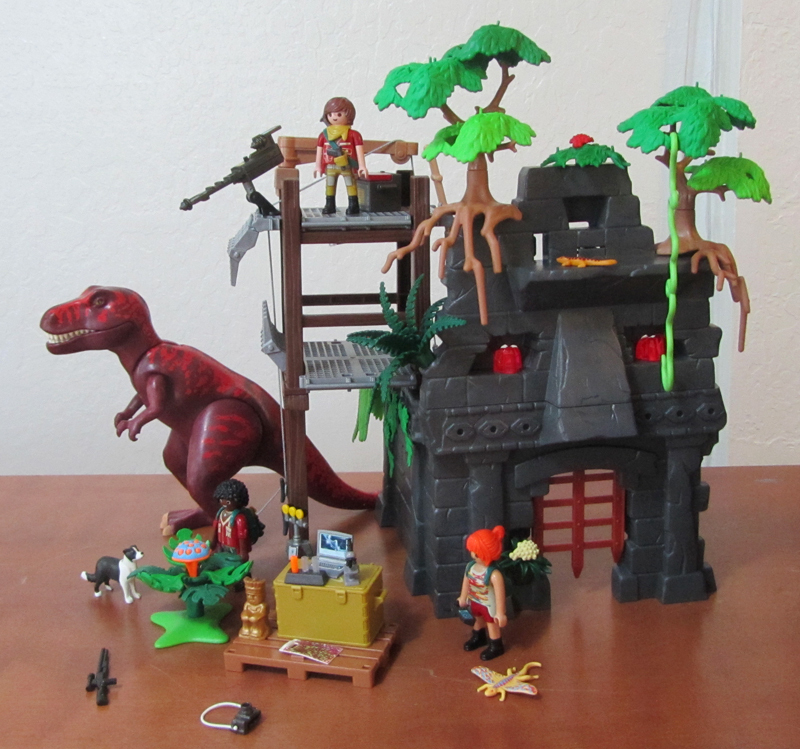 9429 is the big set of this series with the largest dinosaur and a large structure component. Here are the front and back of the box. 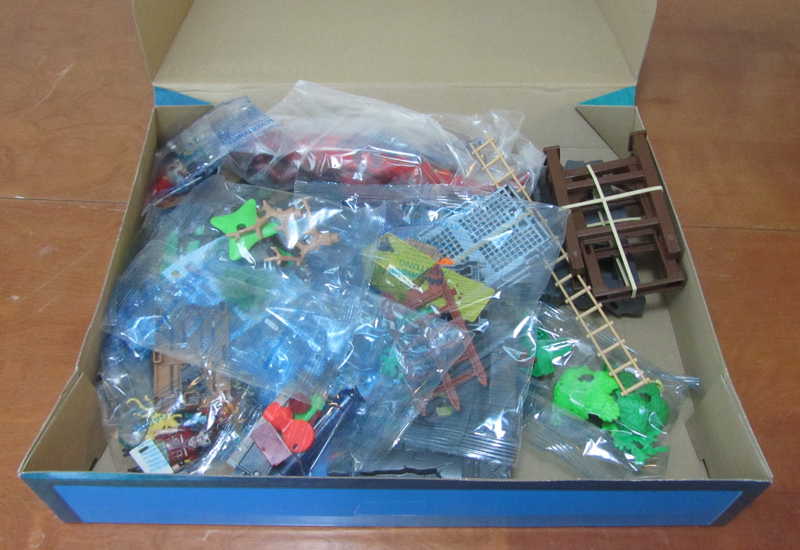 Here is the open box, and the bagged contents laid out. The box is pretty full, and in fact all the boxes this theme are much more filled than we have seen in the past. I think even Tahra may approve of most of these. The primary structure consists of two main parts, the temple and a newer tower. 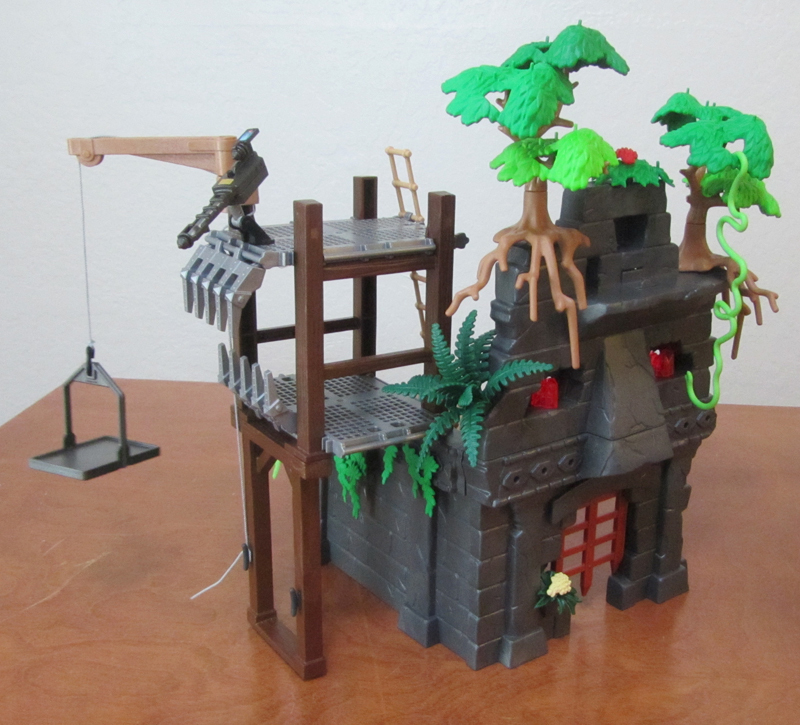 The temple itself consists of the three main parts from the old Jungle Temple set done in dark grey this time instead of the previous light grey. They are connected together with system x plugs, but the two side walls don't connect together smoothly they have some wiggle room. In the original set this was solved by connecting them to the big base piece. No such base exists in this set. The tower is connected to the top of the side wall and can go either inside or outside the temple. When I connect mine to the inside it causes the front of the temple to lift up from the table top. When I put it on the outside it doesn't quite sit on the table. There is something off about the way the connection of the two temple walls together and the tower works to make it not sit evenly on my table. This annoys me and takes away from the play value of the set. There is a design flaw there somewhere. It looks good all together and I like the tower. The two side pieces with teeth that stick out hinge and can be opened or closed more. Unfortunately the tower supports are one part number for the whole thing so you would need an extra full set to get another lower leg section to stand it independently of the temple. It uses the old crane parts form the Steck castles and has a nice two part platform that you can lift up and down. The gun is I believe from the stone temple guards and lights up with an included battery. Pretty sure the tall ladder is off the old battering ram towers. The tree trunks and all branch pieces in this theme are a light brown that is a newer color from the last couple of years. 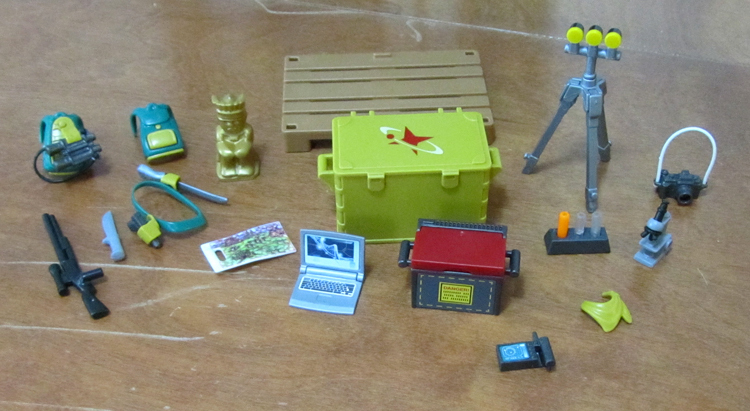 Here are the accessories, a great assortment with some pieces I really like. 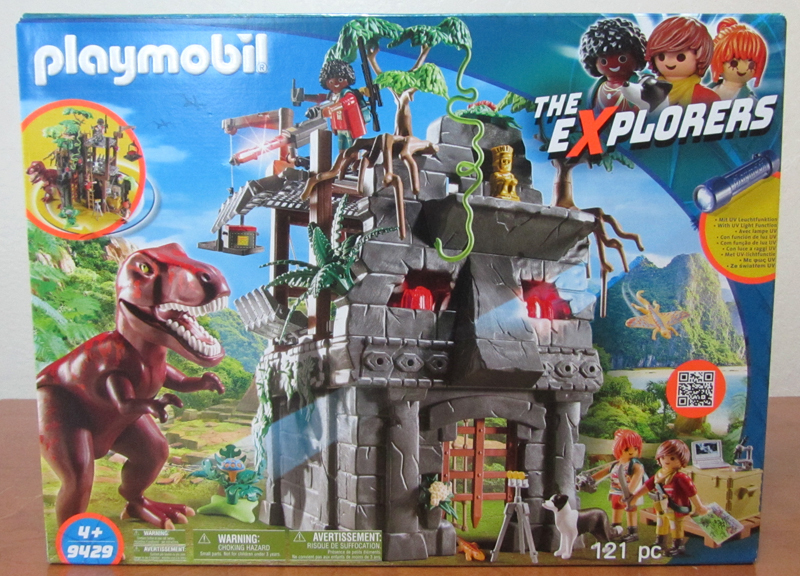 The big crate is wonderful in this color and I like the logo - it seems to be the Explorers team logo. Note that this theme is heavy on the color scheme of dark red, mustard yellow, and dull teal green. 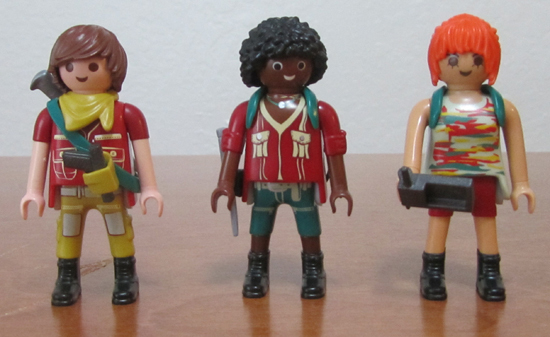 I would assume this is the color scheme of the good guys, but it also shows up in a couple of the bad guy sets. 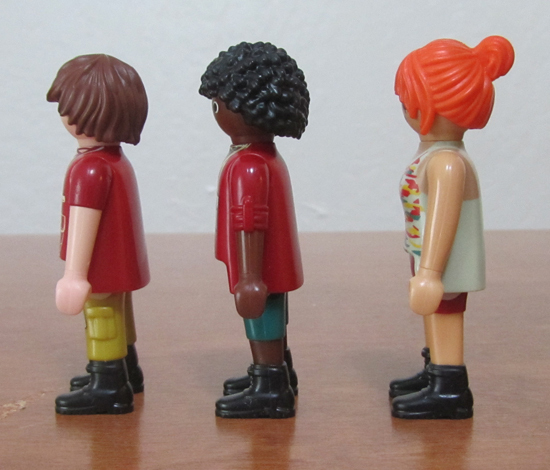 I think kids could expand their good guys nicely if they wanted by just making all the mustard/red/green sets the good guys.. Here are the animals, the dog is named Sammy in the movie and seems to start with the bad guys then switch teams and become part of the Explorers main team in the future. 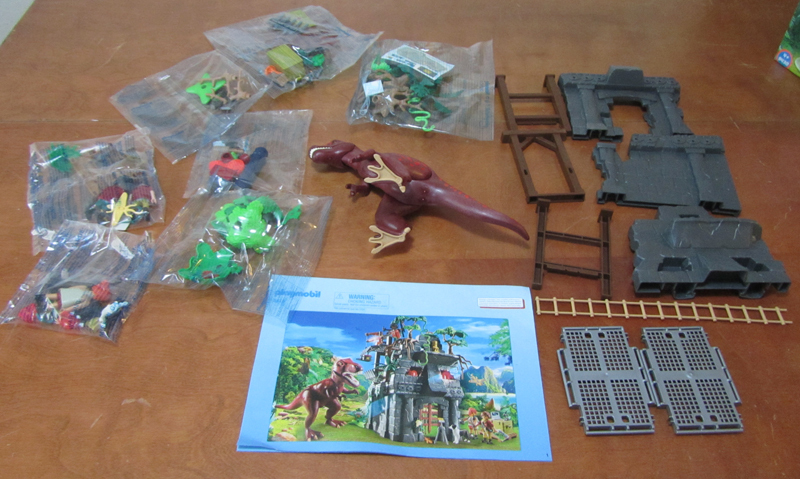 The lizards are reissues (as is Sammy) and the Tyrannosaurus Rex is a reused mold but in a great new color scheme. 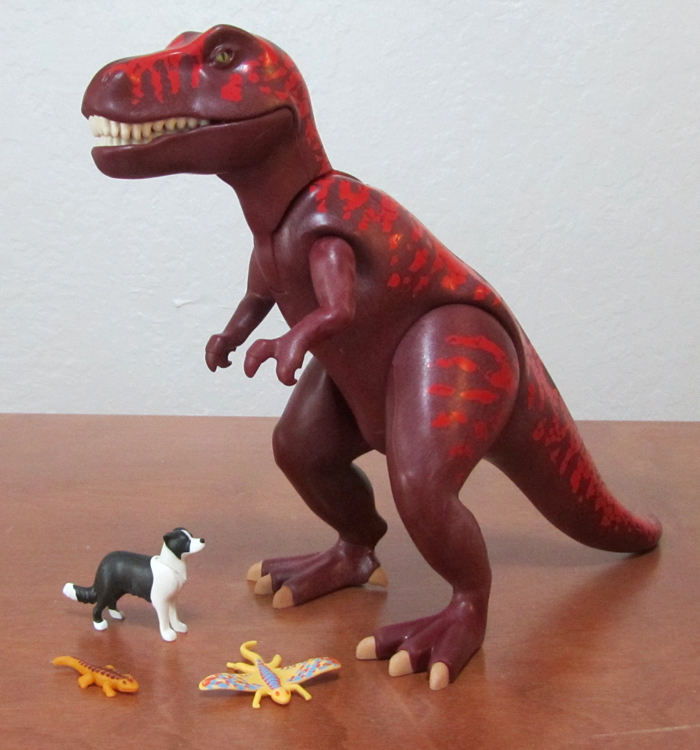 The dark red with tan claws looks excellent and it's great to see them get away from T-Rex = Green. 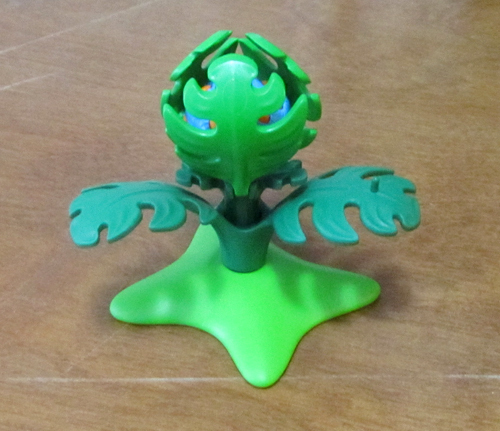 There is one new set of plant parts in the series that stands out. 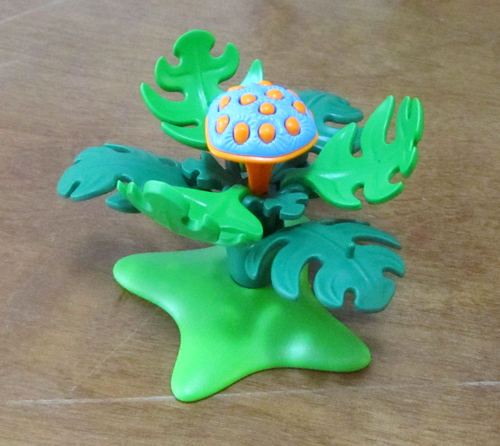 It is the Fruit of Eternity plant with an interesting mushroom type piece and some hinged leaves. 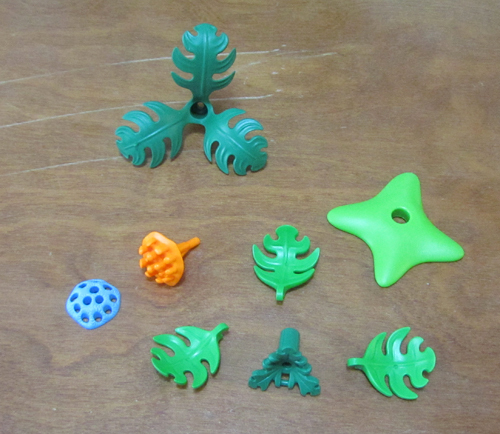 There is a central leaf piece with three leaves that connect on and hinge and the mushroom bit goes in the center. 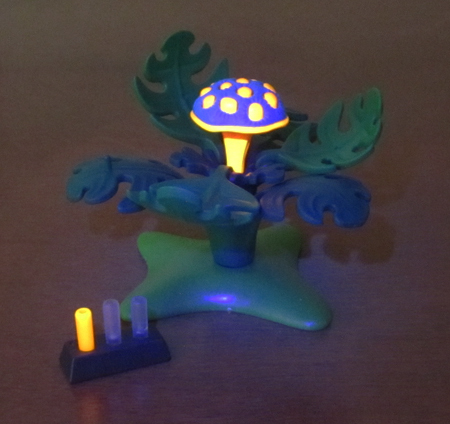 Also included in this set is a black light (requires a battery not included). When you shine the light on the plant you get a pretty cool effect. It also can be shone on one of the test tubes shown here and on the sticker inside the temple as seen in the movie. 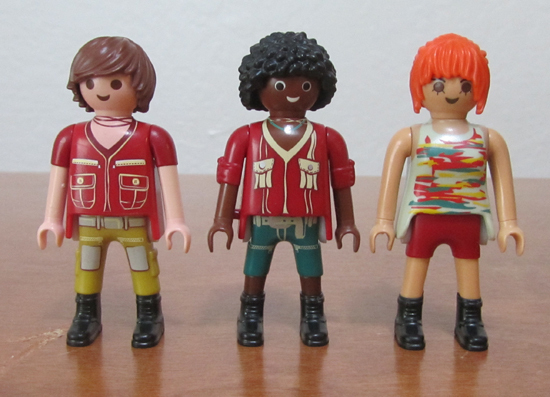 Here is the whole set together, except I forgot to show the flashlight. Overall a fun set and I like lots of the parts but found the issue with the temple and tower to be really distracting for me. Workarounds are possible but shouldn't be necessary with the top priced toy of the theme. It's a reasonable priced set but get it on sale if you can to make up for the mentioned issues. That's it for this review. OK take it back, one last thing I will put at the tail of this review - here is a photo of the entire theme all together showing relative sizes. As a theme I like it, it's not as creative as the last dino theme - with lots of recolored animals and parts and not much really new. It is a fun theme and would be great for kids to play with though. The back of the box is utterly ridiculous. Hope this is limited to the american market (lonnnnnnnnnnnng tradition of ridiculous boxes there).. The gun is I believe from the stone temple guards and lights up with an included battery. Pretty sure the tall ladder is off the old battering ram towers. Yay! I am missing one! 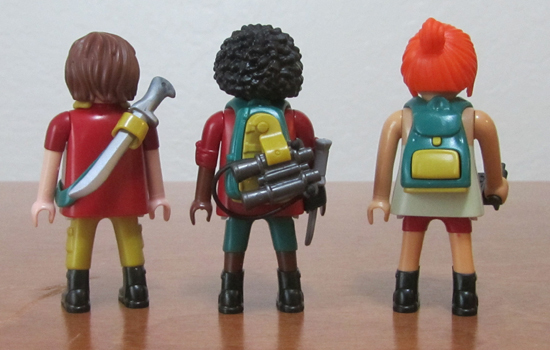 I forgot to mention on the other set - that backpack thing is new? With the peg? I like it!! I like it a LOT.